It looks like his handlers made sure Trump posters and conservative advertisements were plastered all over his van so that he could be branded the MAGA Bomber by the media. SOTN Editor’s Note: The hard facts presented below tell the back story of this juvenile Democrat bombing conspiracy. The Mainstream Media’s fabricated narrative is so ridiculous it’s insulting to every American. Here’s what really happened: FALSE FLAG BOMB SCARES: Who’s doing it and Why? • Five miles from David Hogg. • Three miles from Debbie Wasserman Schultz. • Two miles from Parkland High School. 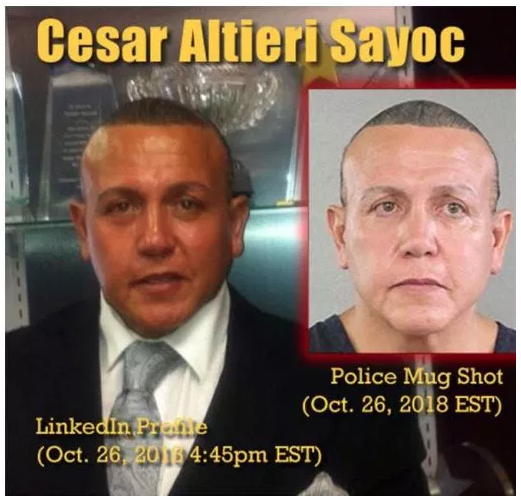 • The same Sheriff – Scott Israel, who is represented by Debbie Wasserman Schultz handled this bomber case, the Parkland shooting AND DRUM ROLL: . . . . . The Fort Lauderdale Airport shooting was under Sheriff Scott Israel also. And the Fort Lauderdale airport shooting under Sheriff Israel, with a little David Hogg and DWS as a side entree!!! Oh, and Broward County seems to end up in the middle of a lot of vote rigging scandals also. THAT FITS. 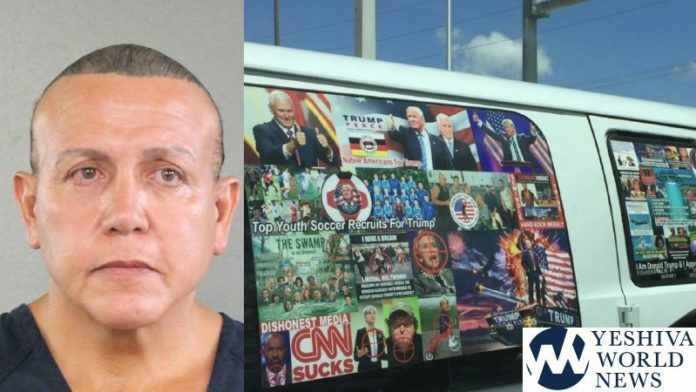 Btw, how was the media there during the bomber arrest to photograph a van full of Trump stickers? Does the FBI call the media and say Gee, there is going to be a great photo op moment, BE THERE??!!?? They also lightened his photo to make him look white, but he is not white. The Left could not have possibly sunk lower. He worked for Bernie Sanders’ campaign, but was a staunch Trump supporter with stickers all over his van in support of trump; all brand new stickers so he can be branded as the MAGA BOMBER.